The Kal Group/Limelight Software is excited to announce the launch of its latest product: Insight Center, Remote Edition, produced for Verint Systems Inc of New York. Verint Systems searched the globe to find a developer with the experience in iOS development to develop this complex system, vital to public safety in city�s around the world. 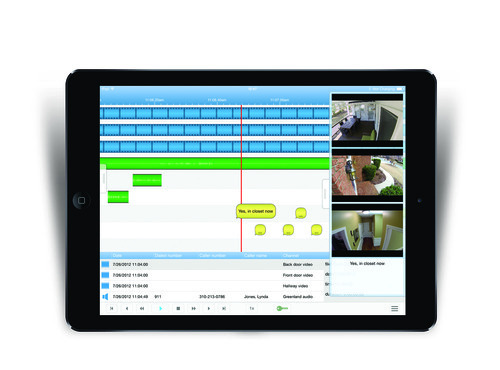 The Insight Center has always been a vital and valuable element in verint�s Audiolog for Public Safety Recording System, allowing users the ability to recreate an incident using audio, video, and even text recordings, all in one place. 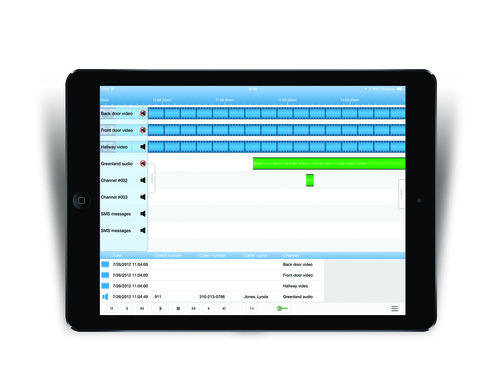 But now this same functionality is available on and Apple iPad. These functionalities allow users to completely reconstruct a public safety incident from all angles, by listening to a series of audio recordings, watching recorded videos, and even viewing saved text messages, in chronological order, even if some of them overlap. The timeline provides context for the recordings, and the data grid gives details about each media item recorded. If media items include data on the latitude and longitude of their location, a map will also appear to show the location of each recording. Even the smallest details have not been overlooked in providing for the needs of public safety officials. Users can zoom in and out, homing in on items that might otherwise have been missed. Recordings can be muted while others play, or played simultaneously for the full effect. Playback speed can be altered for both videos and audio recordings, in order to make speech or images more clear. And recorded text messages can even be read aloud by the application, in order to allow for a completely auditory experience. The Benefits of the Insight Center Remote Edition Just imagine the new possibilities that the Insight Center Remote Edition opens up for public safety management. Now, essential data can be reviewed in the field, as needed, instead of only at a desktop, leading to new opportunities for insight and immediate action. Even in the middle of an ongoing incident, recordings can begin to be collected, organized, and analyzed by public safety officials on-scene, so that they have a clear picture of every aspect of the event, and can make the most informed decisions possible as the incident unfolds. Vital information can quickly and easily be shared via email with others who need it, but who do not have access to the application itself. 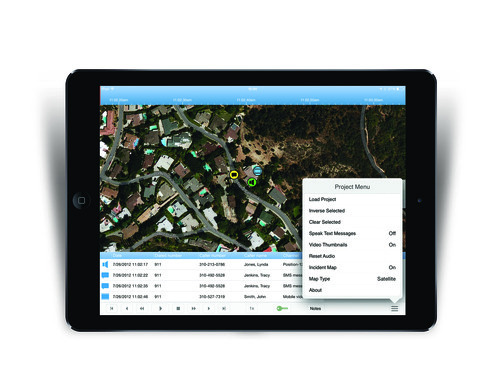 The Insight Center Remote Edition is the ultimate mobile communication tool for public safety management. For more information about this exciting new public safety technology, or how a mobile application can integrate with your systems contact the Kal Group today.